SGX Day Traders: 2014 May 20 #sgxdaytraders Follow up on Hong Fok, We have booked profits. Congrats all vested. 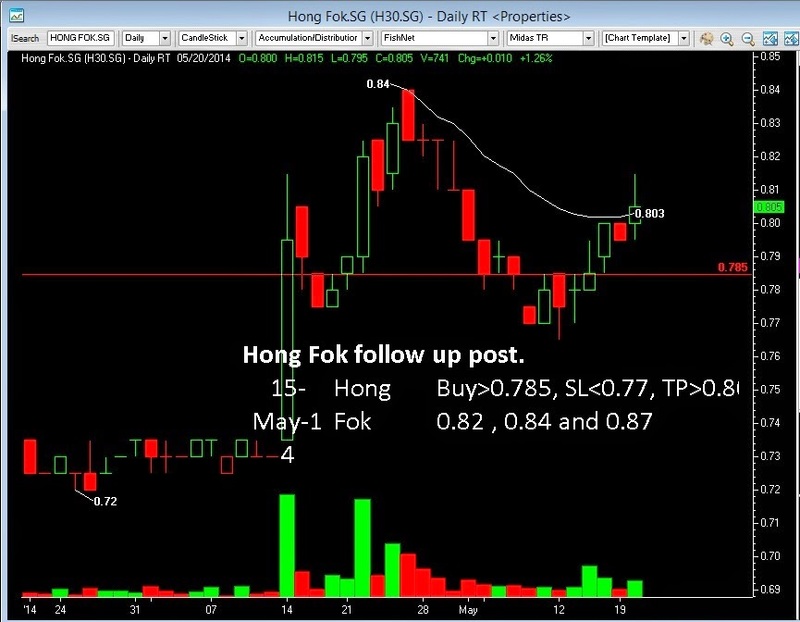 2014 May 20 #sgxdaytraders Follow up on Hong Fok, We have booked profits. Congrats all vested. Hong Fok Technical Buy call on 2014 May 15 and Today (2014 May 20) SGX Day Traders have booked our profits, from chart view, Hong Fok may still have some room for upside, But we have sold 80% of Long positions and Rotate to next potential counter. Here is Hong Fok as the the time we post the Follow up post.